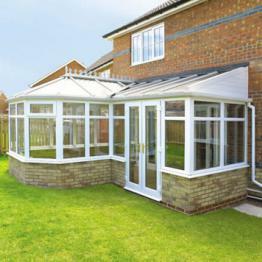 A P-shape conservatory looks spectacular in its appearance. It will provide you with 2 separate living areas and it is an extremely versatile design that you can adapt to suit your lifestyle. You can choose to have both sections the same size, or if you would prefer you can choose to have one large room and one smaller room. Many families opt for a large room to be used as a lounge and a small room as a children’s play area. 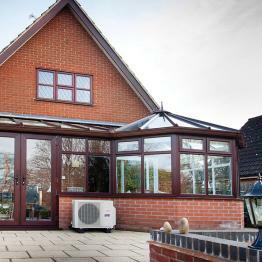 Your new P-shape conservatory will add a touch of grandeur to your home. They are very impressive and create a ‘wow’ factor when visitors see it for the first time. 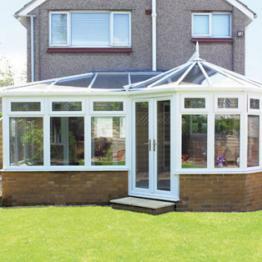 Your new conservatory will extend in multiple directions and the P-shape part can be built in either a 3 or 5 part design. Whatever the size of your house, whatever the size of the conservatory that you want, Softview will provide you with a free design for a fully made to measure conservatory that will look amazing and at the same time blend sympathetically with your home and its surroundings. If you want to talk conservatories then please give us a call today. 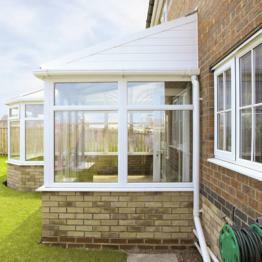 This is only a small sample of the P-Shaped conservatories we can supply and install. Please contact us on 01206 710773 if you can't see what you are looking for.